Our range of products include double pocket pullover and police pullovers. 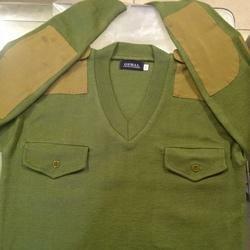 We manufacture collar pullover which is made of quality raw materials. We offer our range of collar pullover in various sizes & colors & patterns to suit the every need of our esteemed clients. These caps can be customized as per the client’s specific requirements.